Sellwood 13 Lofts is a new construction condominium in the heart of Sellwood. Be a part of the first generation of homeowners. Clean. Modern. Cool. Sellwood 13 Lofts is a four story new construction condominium. 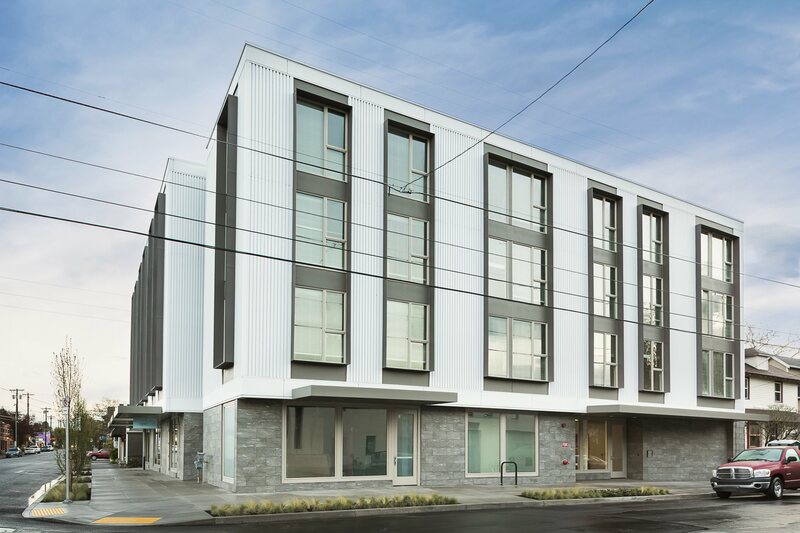 Built for the young professional, Sellwood 13 Lofts offers 30 homes ranging from studios, large studios, and one bedrooms, all at affordable price points. With homes starting at $215,000, find the one thats right for you. Contact us today for current pricing & availability. Situated in the core of Sellwood’s food & boutique shopping scene, Sellwood 13 Lofts allows its residents to fully immerse themselves in the lifestyle of the diverse neighborhood around them. An array of shops, vintage vendors, international restaurants, pubs, a wildlife refuge, and its own amusement park. Live in Sellwood, one of Portland’s more dynamic neighborhoods. Home loans don’t need to be scary. With financing provided by M&T Bank, you can receive a home loan for as little as 3% down, and a closing cost credit of $1,250. For more details on how you can begin the road to home ownership, contact our financing specialists today at 503-534-4848, or go to onlinemortgage.mtb.com or text “mtb” to 36260 to download M&T Bank’s free mortgage app!